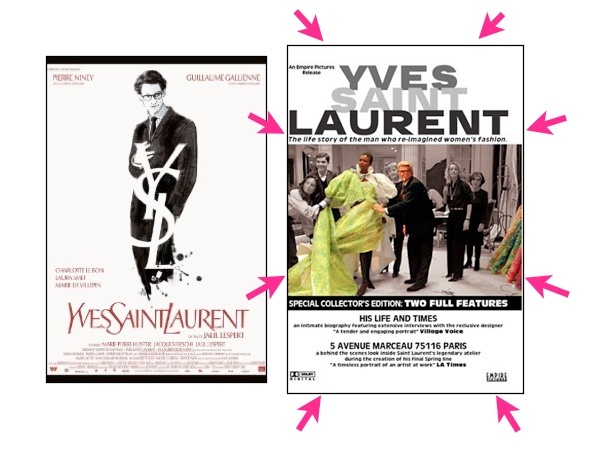 I am sorry to say that I was very disappointed with the recently released movie about Yves Saint Laurent (YSL). I felt it focused too much on what went wrong in his life, as opposed to all that went right! Sometimes out of the bad news comes good; this negative experience suddenly reminded me of a 2 disc DVD documentary about him that I purchased in 2008. It was at the De Young Museum when they had a fantastic exhibition of his clothing. If you want to know more about Yves Saint Laurent, either about the man himself or about how he worked, this documentary includes both. By using rare footage of him being interviewed and designing, it is a valuable peek into the life and work of one of the most influential designers in the history of fashion.